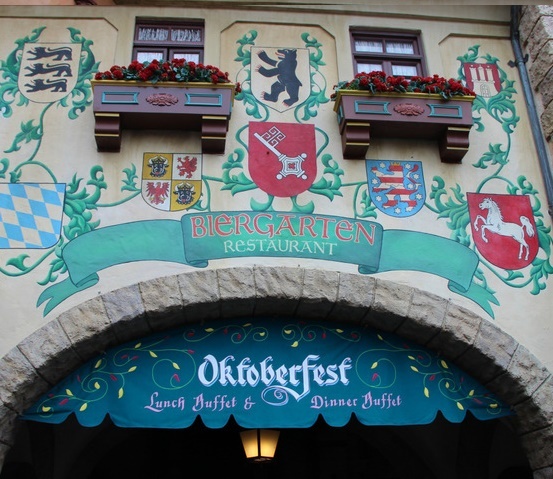 Biergarten is one of the most overlooked and authentic restaurants in Epcot. My heritage is German, and my ancestors came over to America 10 generations ago in 1795, so Biergarten holds a special place in my heart...and my stomach! German food is comfort food in my opinion. It's filling, hearty, and savory. Look at that huge potato dumpling! 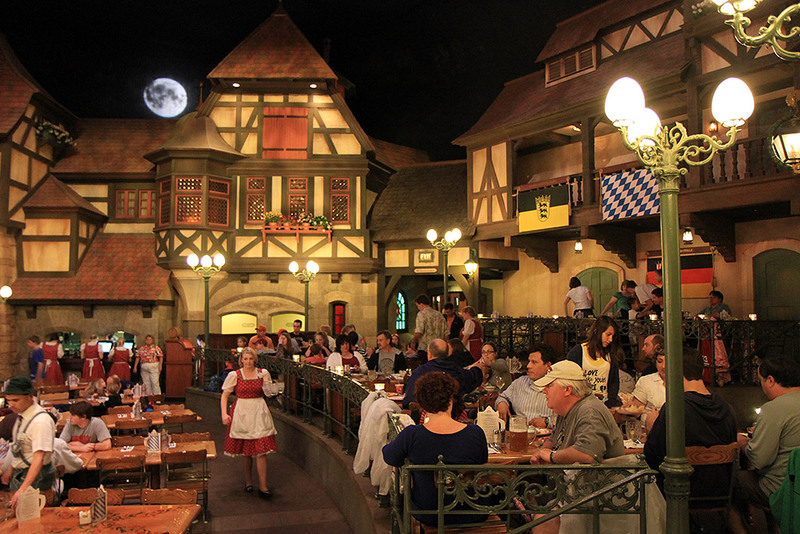 When you enter Biergarten, you are magically transported to an outdoor, Oktoberfest gathering at night. The "village" has gathered to enjoy food and bier, and dance to polka music. The leaves on the trees are turning orange and yellow, and the harvest moon makes it feel like it really is October. In the distance, you can see the rooftops of the little cottages around town. Thick, wooden tables are situated around a stage so you can watch the house band from anywhere. The polka band, Oktoberfest Musikanten keeps the experience loud and lively! The buffet includes salad, tomato salad, cucumber salad, bean salad, macaroni salad, pickled beet salad, cold meats and cheeses, and more. 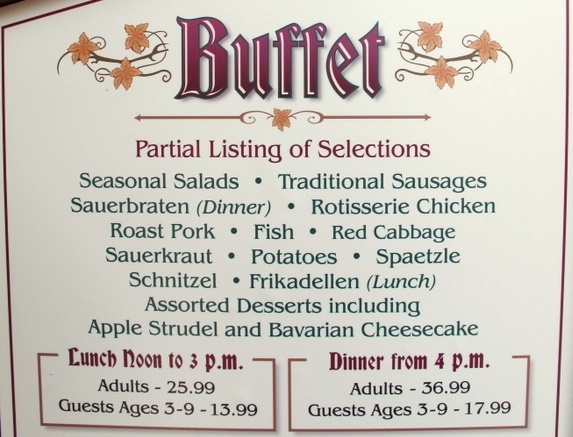 On the hot side you can have rotisserie chicken, sausage, spaetzle (my favorite), bratwurst, meat patties in red wine, salmon, braised beef, sauerbraten, and of course, delicious potato dumplings! Desserts include apple strudel with vanilla sauce, Bavarian cheese cake, and fruits. 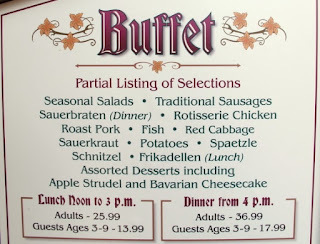 The bread selections are great too, and include pretzel rolls. Kids gather on the dance floor to clap, dance and participate in the musical festivities. The band plays horns, accordions, and even cowbells. What would Oktoberfest be without BIER!? You can order a half liter or full liter stein full of cold, authentic, German beer. I asked my server, who was from Munich, which beer she recommended. 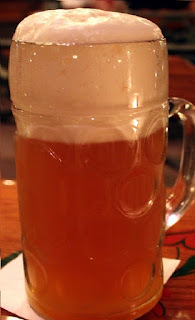 She suggested the Hefeweizen Schoferhoffer, which is a grapefruit beer, and it was so delicious that we tracked it down here at home and bought some. Every time I smell it, I am transported back to Epcot the night we ate at Biergarten. We made some great memories there and it's now on our must-do-again list! I consider Biergarten a dinner show, since it's so lively and entertaining. My kids loved the loud music, and shouting "oi oi oi!" It's a small, but unforgettable glimpse into German culture and it's fun for all ages. If you would like help booking your Disney Vacation, or even a trip to Germany, contact us today at Vacations@kingdomkonsultant.com to start planning your next trip!